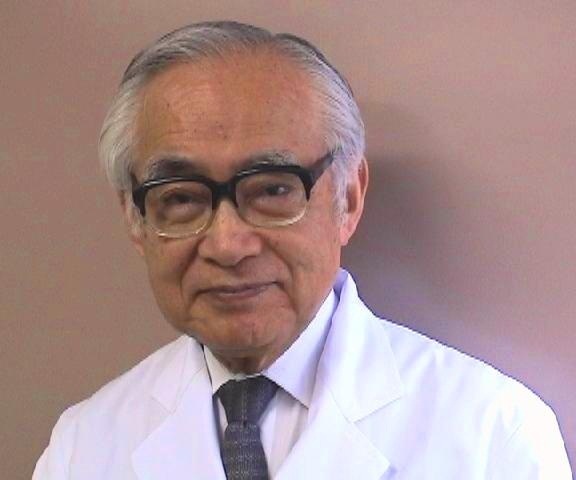 Masaya Segawa, MD, PhD, one of the pioneers in Child Neurology, the director of Segawa Neurological Clinic for Children, passed away on December 14, 2014 at the age of 78 years and 6 months. He was born in Tokyo on June 4, 1936. He graduated from the University of Tokyo, School of Medicine in 1962, receiving his MD degree, and received a PhD degree from the University of Tokyo, Graduate School of Medicine in 1970. He had post- graduate training and was a member of the house-staff in the Department of Pediatrics, University of Tokyo under Prof. Tadao Takatsu till 1973. In the mid-1960s, it was the dawn of neurology in Japan. Neurological diseases in children were taken care of in the Department of Pediatrics. As a young pediatrician in that Unit at The University of Tokyo Hospital, Dr. Segawa was very much involved and extremely interested in the disorders of the nervous system in children and spent every day in the Outpatient clinic of the University of Tokyo Hospital from early morning to late evening seeing patients with neurological diseases coming from all over Japan. His ten years’ experience in the Department made Dr. Segawa confident that Child Neurology must be independent from General Pediatrics and focussed on neurological disorders. In 1973, when he succeeded his father, Prof. Isao Segawa, the director of Segawa Children’s Hospital located in Ochanomizu, Tokyo, Dr. Segawa established the Segawa Neurological Clinic for Children on November 1, 1973. Since then, Dr. Segawa was Director of the Segawa Neurological Clinic for Children for 41 years 2 months till his death on December 14, 2014. At this time, there were only three public institutes which had separate child neurology departments. Thus, the Segawa Neurological Clinic for Children was the first private child neurology clinic in Japan. Dr. Segawa was of the 9th generation in the Segawa family. Early in the 18th century, Edo era, a forefather was said to be the first pediatrician in Japan. Dr. Segawa belonged to the 4th generation since Western medicine was introduced to Japan. What Dr. Segawa aimed for in the Segawa Neurological Clinic for Children was to study the disorders starting in childhood, then through adulthood and even into older ages, that is to say ‘The Lifelong Neurology’. Most of the neurological diseases were difficult to cure, and even controlling the pathophysiological processes was difficult. That is why Dr. Segawa believed in studying not only child neurology but also that knowledge of adult neurology, the　neurosciences　and basic sciences was mandatory to fully understand the neuropsychological disorders starting in childhood. Dr. Segawa thought that observing the age-dependent changes of a given disorder and analyzing the differences of the clinical characteristics of the disorder starting at different ages were important in understanding the underlying pathophysiology of childhood-onset neurological disorders, which leads to the essential treatment. This was the Goal of the Segawa Neurological Clinic for Children for 41 years 2months. Based on the above-mentioned pure motivation and enthusiasm, the activities of the Segawa Neurological Clinic for Children covered very busy clinical work, wide ranging clinical research and education. Dr. Segawa was always the leader, mentor, colleague and friend of many physicians and researchers, but above all a very kind and thoughtful doctor for many patients visiting not only from all around Japan but also from abroad. He was a really hard worker and all his time was devoted to medicine. His research covered a very wide range. His PhD thesis was on a type of congenital muscular dystrophy, which Dr. Segawa later proposed to name as Fukuyama type congenital muscular dystrophy. Dr. Segawa played another key role in the research on Fukuyama type congenital muscular dystrophy. He was following a patient who suffered from both Fukuyama type congenital muscular dystrophy and xeroderma pigmentosum. On the advice of Dr. Segawa, Dr. Toda studied the genetic information of this patient, discovered the linkage of Fukuyama type congenital muscular dystrophy and finally found the causative gene of Fukuyama type congenital dystrophy. These are kinds of serendipity but such opportunities occur only to the prepared person. Dr. Segawa was such a person. Many times it has been said that the best teachers in medicine are the patients. The discovery of Segawa disease goes back to his days in Tokyo University Hospital. One day in 1970, a girl accompanied by her mother visited Dr. Segawa’s Out-patients clinic. She was suffering from walking difficulty which worsened toward the evening. The mother told Dr. Segawa that the only good thing about this girl was that, in spite of this motor symptom, she did not move much during sleep so that the mother did not need to go to her bedroom to see if she was covered by her blanket This incidental remark of the mother made Dr. Segawa think about the role of sleep. He began studying polysomnography of the girl and other patients with the same disorder, which led him to understand that decreased activity of the dopamine system in the striatum is the essential pathophysiology of Hereditary Progressive Dystonia with marked diurnal fluctuation (HPD). Later it was called Segawa disease. The diurnal fluctuation and progressive course of this disorder were prominent in childhood, and the characteristics of this disorder were also analyzed by sleep analysis and basic science research. It was the time when l-Dopa was just beginning to be used for the treatment of Parkinson disease. As one of the pupils of Prof. Narabayashi, Dr Segawa learned the differences of muscle tone in Parkinson disease and dystonia, and his idea of trying l-Dopa in HPD patients was the very epoch-making moment in the treatment of Segawa disease. Further extensive clinically oriented studies and collaborative research with many colleagues enabled Dr. Segawa to clarify the pathophysiological mechanism, biochemical abnormalities and finally led to the discovery of the causative gene, GTP cyclohydrolase1 gene in 1994, in collaboration with Dr. Ichinose who sequenced the gene. After the gene was found, Dr. Segawa proposed two clinical types of Segawa disease, the postural type and the action type. He suggested the former is hypokinetic dystonia and the latter is hyperkinetic dystonia involving different neuronal pathways. His research covered more fields: the discovery of the highest frequency of the childhood myasthenia gravis in Japan, and also proposing the clinical subtype of ‘latent generalized type’. 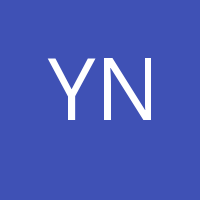 The particular HLA association of Japanese childhood myasthenia gravis was also found by Dr. Segawa and associates. Regarding the research on Rett syndrome, it was in May of 1982, when he was invited by Prof. Bengt Hagberg to attend the 100th anniversary meeting of the Institute in Göteborg, where the symposium on Rett syndrome was held. I vividly remember the international telephone call from Dr. Segawa who told me that four particular patients we had been following had Rett syndrome. In the autumn of the same year, I visited Prof. Rett in Vienna. Based on our clinical research and the age-dependent changes of the symptoms, we first proposed that Rett syndrome is a particular developmental disorder. It took several years till Prof. Hagberg agreed with what Dr. Segawa and I proposed, i.e. that Rett syndrome is a developmental disorder. Now, nobody disagrees. Regarding the Tourette syndrome (TS), since the establishment of Segawa Neurological Clinic for Children many patients began to visit the clinic seeking the biological bases of TS. It was the time when TS was thought to be due to environmental factors or stresses. Dr. Segawa and I, together with other international groups involved in active research on TS. proposed that TS was a developmental disorder of the dopamine system at the terminal of the nigro-striatal DA system. Thus, TS research is also one of the important interests of the Segawa Neurological Clinic for Children. Dr. Segawa also engaged actively on the research and management of autism. Dr. Segawa’s original study of sleep in Segawa disease suggested that the analysis of sleep components enabled clarification of the function of the brainstem and midbrain noninvasively and is on-going at the neuron level. He also pointed out the importance of the function of locomotion playing an essential role for the development of the brain. Dr. Segawa also taught that the studies of the diseases of children can give clues to understand the normal brain. This unique idea of Dr. Segawa extended to the research on the ‘neurosciences and education’. He organized many national conferences, inviting clinicians and basic scientists for discussion of the various topics. It was his belief that these meetings are important to both clinicians and basic scientists to learn new things. Dr. Segawa organized the International Rett syndrome Congress in Karuizawa Japan in 2000 as the Congress chairman. That was a truly successful meeting involving clinicians, basic scientists and patient associations gathered from all over the world. He is the author and co-author of over 700 Japanese and English papers from 1965 to 2014. His last publication was ‘Genetics and Pathophysiology of Primary Dystonia with Special Emphasis on DYT5 and DYT1’. He was a member of many national and international medical associations, and played important roles in many of them. In particular, he was an important board member of the International Child Neurology Association since 2002. He especially enjoyed participating in the teaching programs for young colleagues in many countries under the ICNA’s leadership. His warm feeling of friendship to all his friends around the world was overwhelming. For his outstanding lifework, Dr. Segawa held several awards, including the Emil Becker Prize 2012 from Gesellschaft für Neuropädiatrie, the Japanese Pediatric Society in 2011, the Congress Award of the 15th International Congress on Parkinson’s Disease and Movement Disorders and the Best Child Neurologist Award given at the International Child Neurology Congress 2010. He also contributed to many National and International Associations for the support of patients with conditions such as muscular dystrophy, myasthenia gravis, Rett syndrome, Tourette syndrome and dystonia. He was also a Special Appointed Professor at the Dokkyo University, a visiting professor at the Toho School of Medicine and an active lecturer at Juntendo and Iwate University Schools of Medicine. Dr Segawa supported the Segawa Program for many years by donating his own money to the Japanese Society of Child Neurology to facilitate inviting speakers to the annual meetings for the purpose of letting young child neurologists to meet and to discuss with prominent teachers and friends from abroad. He was always a quiet, friendly and fair person with a wonderful smile. His friendship with many colleagues extended widely, both nationally and internationally. His challenges in so many fields continued for all his life. The last challenge began in the spring of 2014. He was found to have adult type Burkitt lymphoma. It is the most aggressive, malignant and rare type of lymphoma. According to the published reports, the cure rate is very limited particularly in patients over 60 years. Dr. Segawa, however, read papers on Burkitt lymphoma which his friends from abroad and I searched for. He wanted to pursue all possible treatments, even experimental treatment as a physician patient. However, it must be his great regret that the wishes were not heard. Dr. Segawa accomplished very much during his life of 78 years, but till his last moment, he still had ideas on much unfinished work. He left us to learn from him and to follow what he aimed for. He gave us the hope and dream to make further progress. He will be remembered and missed for a long time with respect, affection, and LOVE.